It was a complete shock when Sarah Senft’s water broke. The North Shore family physician was not yet 30 weeks pregnant. She and her husband Riley, an anesthesiologist, were in California at the time for a family wedding. 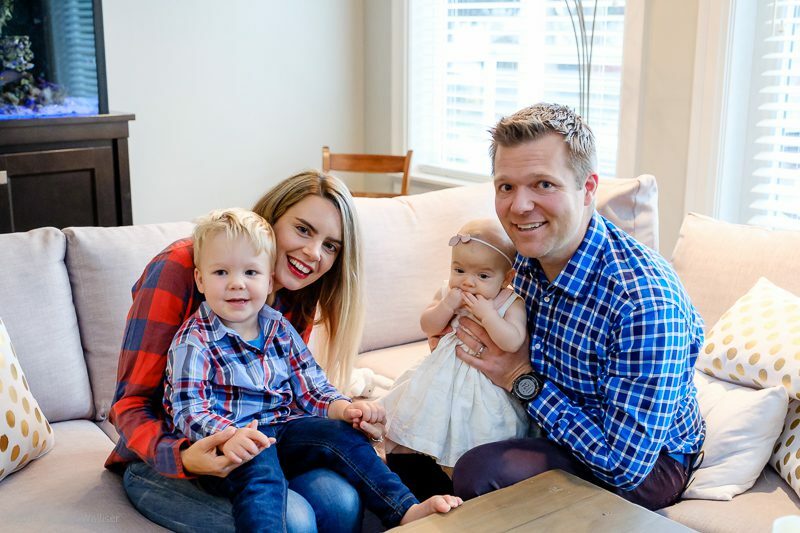 While the couple tried to stay calm, it was the start of a whirlwind of events that led them to be airlifted unexpectedly to Royal Columbian Hospital, where Zoe Senft was born several hours later, 10 weeks premature. Sarah and Riley Senft with their children. Their daughter Zoe was born 10 weeks premature at Royal Columbian Hospital. Sarah says her pregnancy, up until then, had gone smoothly. An ultrasound just before the trip had found the umbilical cord had two vessels instead of the usual three. But Zoe’s weight at the time was just fine. After her water broke in the early morning, Sarah was transported to a nearby hospital with maternity services. Since she was only 29 weeks pregnant, the initial plan was to try to delay the birth for as long as possible. While Sarah was on strict bed rest in hospital, the couple worked with their insurance company to find a way to safely get back to British Columbia. Two days after being admitted, a travel nurse confirmed they would be sent by air ambulance to Royal Columbian Hospital. As a high-risk maternity centre with a neonatal team that is trained and equipped to care for the smallest and most fragile newborns, Royal Columbian Hospital sees patients from all over the province. The hospital is consistently ranked one of the top in the country in caring for infants in its Variety Neonatal Intensive Care Unit (NICU). Neither Sarah nor Riley knew much about Royal Columbian at the time and felt apprehensive about going there. “I was just scared something was going to happen, and we weren’t going to be in the place we should be,” Riley says. “I didn’t realize Royal Columbian had such a large NICU and offers that kind of care,” adds Sarah. After receiving reassurances from the travel nurse, the couple arrived at Royal Columbian, hoping they could continue to delay Zoe’s arrival for as long as possible. But Sarah’s blood pressure and liver enzymes were skyrocketing. It became clear this was an obstetrical emergency. HELLP syndrome is believed to be related to preeclampsia, which is a complication in a small number of pregnancies that causes high blood pressure and can be life-threatening to both mother and baby. “I was the poor obstetrician’s first patient of the day,” laughs Sarah. An emergency C-section was scheduled, and Zoe was born at 29 weeks and six days, weighing two pounds eight ounces. The newborn girl was quickly whisked away to the NICU. While Sarah and Riley were understandably anxious, they soon became impressed by the neonatal team that looked after Zoe for close to two months. With the help of incubators, ventilators, and an entire team of caregivers, Zoe grew stronger and her breathing improved. She went home after 53 days in the NICU. Following their positive experience, the two doctors have approached Royal Columbian Hospital Foundation to talk about ways of helping with the NICU’s equipment needs. They also want everyone to know just how highly they think of the hospital. “If we ever went down that route again, we definitely would choose Royal Columbian,” adds Sarah.